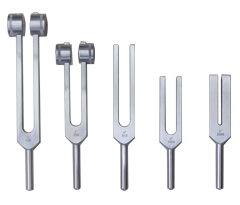 Premium aluminum alloy tuning forks. 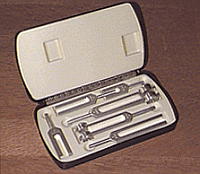 Hand finished and precision tuned. Made in the Germany. 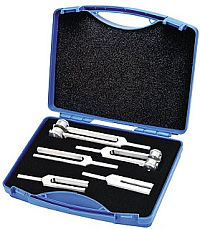 Aluminum alloy tuning fork set with custom fitted protective case.